Put on your dancing shoes as Geoff plays Rock 'n' Roll hits from the 1950s and early 60s. Start your weekend with news and features from across the county with Donna. Dedications and requests for your special someone - Call in on 0808 100 1039. Join Ross Ellis for the latest Cornish sport and updates through your Saturday afternoon. Donna Birrell looks at various faiths and ethics across the county and beyond. Jack helps you through your Good Friday mid-morning with music, conversation and updates. Freddy presents his favourite musical memories. Championship rugby coverage of Cornish Pirates v Yorkshire Carnegie. Kick-off at 2.30pm. The UK's most high-profile pathologist on a career working in death. '...we're hoping to break a world record...' - behind the scenes at Tregothnan as they prepare for their open weekend. We take a visit behind-the-scenes at Tregothnan, where records could fall this April. More for you to enjoy from BBC Radio Cornwall. Find out how you can beat David White at his own game. Full term and conditions. Click here for all the details you need to contact BBC Radio Cornwall. 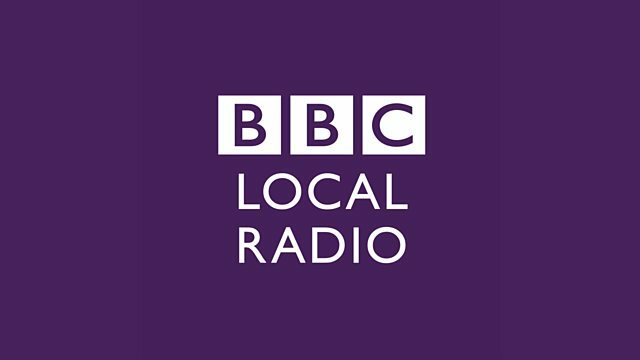 Send BBC Radio Cornwall your events for their What's On and Gig Guides.